After church today, Beth invited me to walk to Sandogardy Pond with her. I can’t resist an invitation like that, so I got my hat, boots, and camera, and put the leash on Penny. While I was doing all that Beth popped outside. She came in with a report of a purple lady bug. I thought it was more gray than purple. I haven’t tried to identify it, but for now, I will call this a “gray-dy bug”. 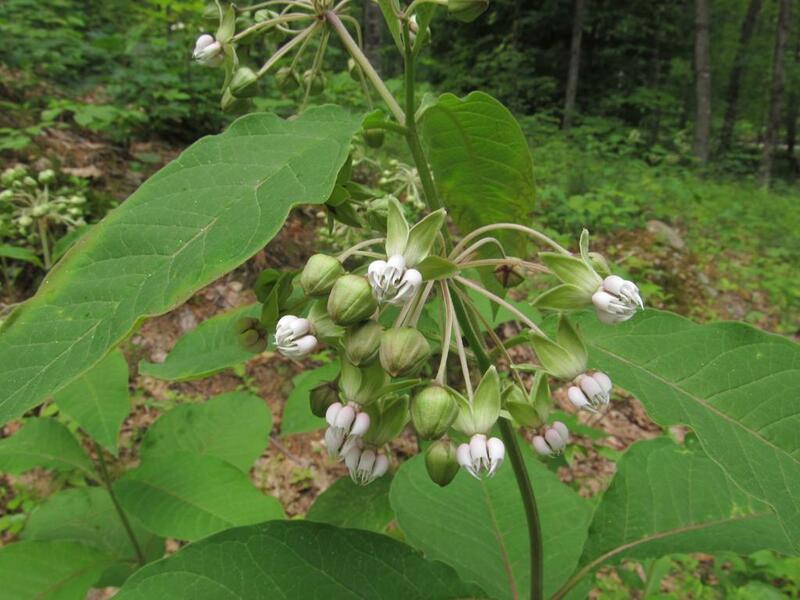 On the way to the pond, I spotted a tall flowering plant along the side of the road. 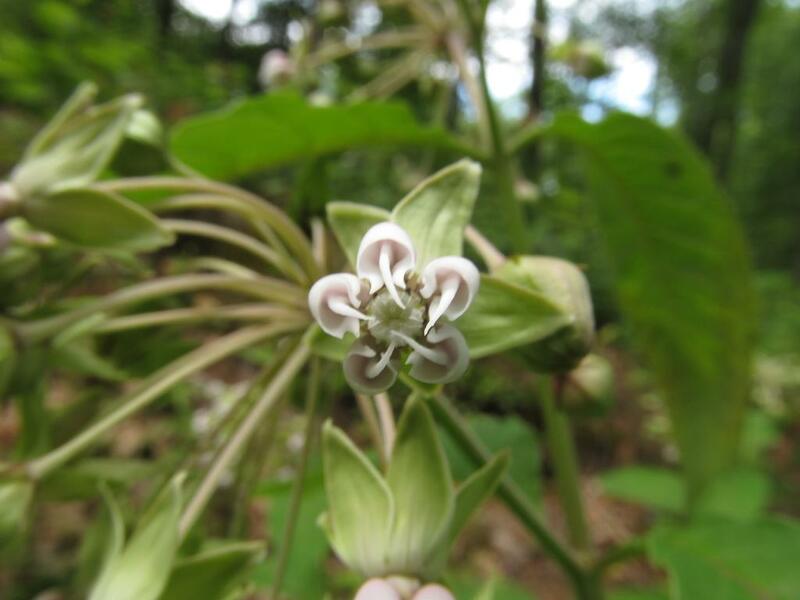 I have never seen this species before, but I knew it was a milkweed of some sort. 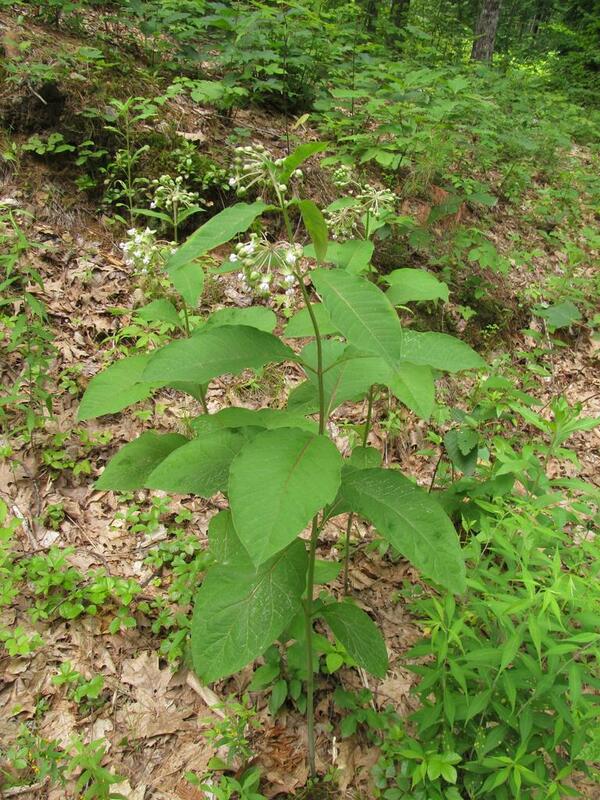 I’m not 100% sure, but I think this one is a poke milkweed (Asclepias exaltata). 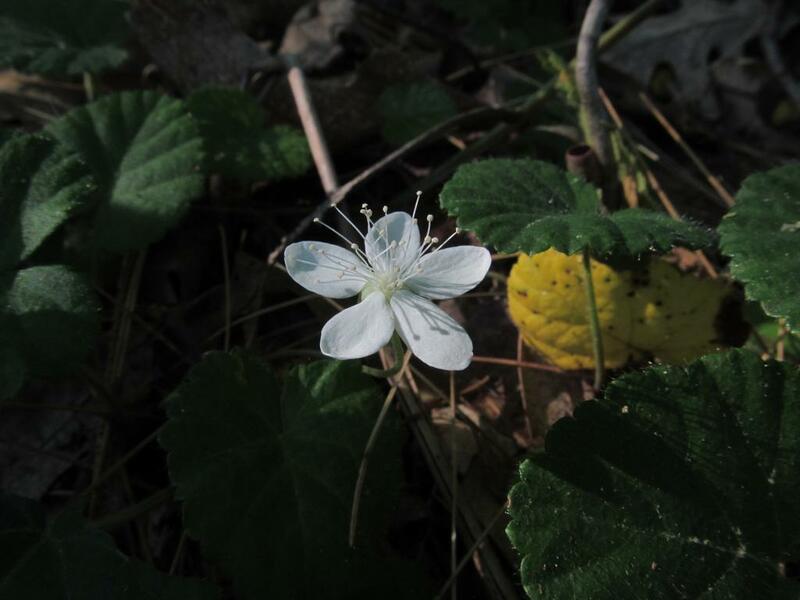 I had been thinking that it’s cool to find new-to-me species in bloom, but when I went to tag this one, I see that I have already tagged that species. So it is one I have seen before, but forgot about! None of these photos are that great, but hey – sometimes they aren’t. 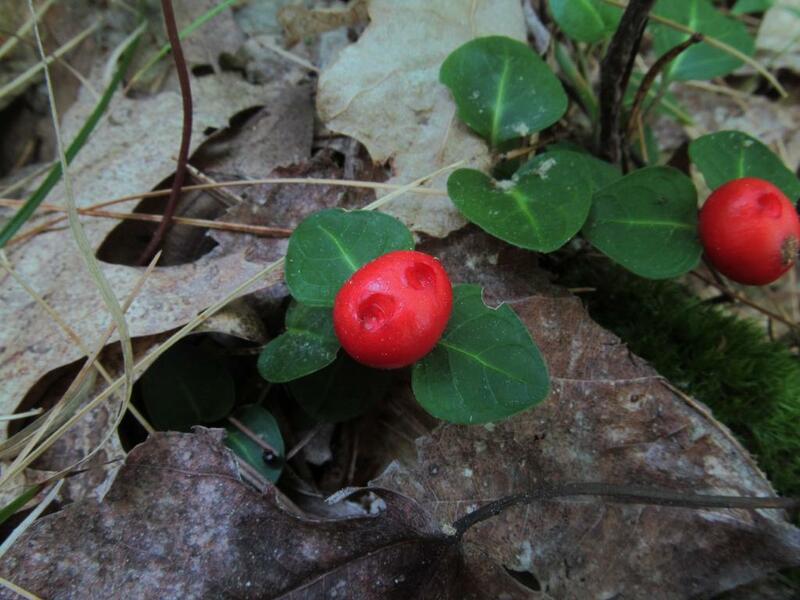 Further along, I saw some wintergreen with absolutely huge berries. 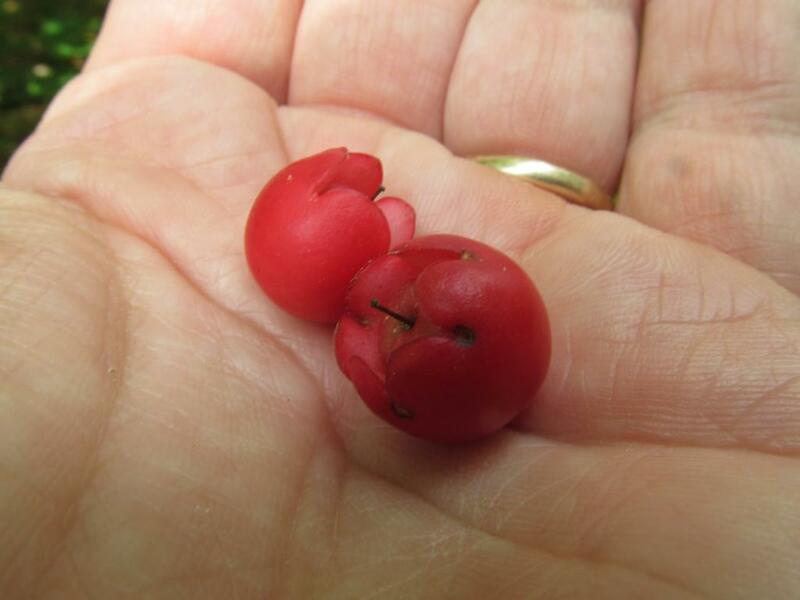 I have notices that just before they bloom again, wintergreen berries swell. They are normally a quarter inch in diameter, but these were half an inch. Remember, volume increases with the cube of the diameter, so these have about 8 times the volume of an unswollen berry (though I expect they have roughly the same mass, as the density seems to decrease). My theory is that the plant is making a last ditch effort to entice something to eat the berries and thus, spread the seeds. If that’s the strategy, it worked for this plant, because I ate these as soon as I snapped the photo. When we got to Cross Brook (or as I call it, Little Kohas Creek) which drains Sandogardy Pond, Penny was in full throw-me-a-stick mode. 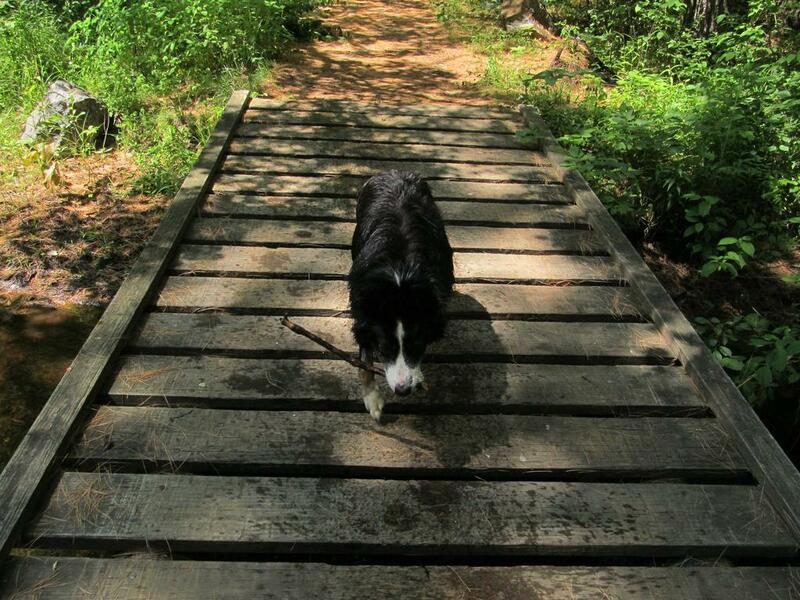 She brought us one and dropped it on the bridge. 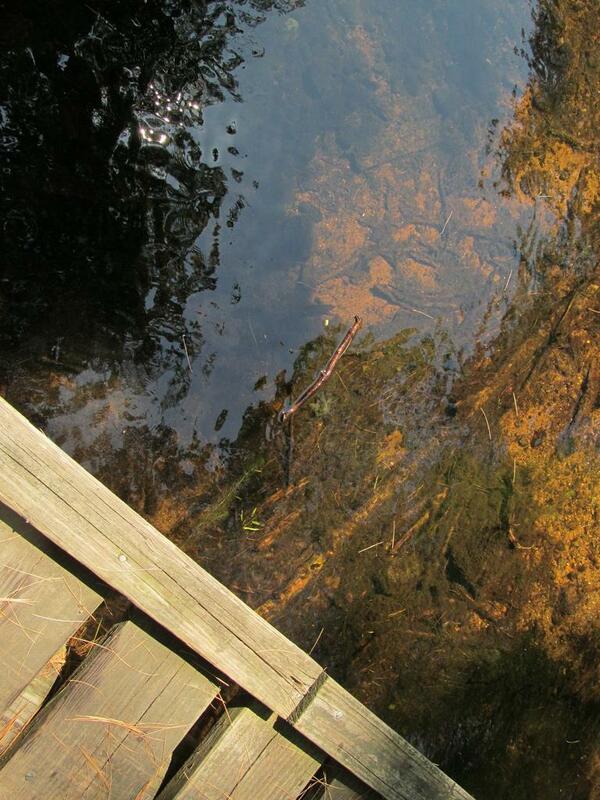 Except it fell between the planks and into the creek. She couldn’t figure out where it had gone, but it was floating downstream by then. I pointed it out to her, and she went in after it. She did this twice. The second time it had floated farther downstream than she could have imagined, so she didn’t find it. She did know that it had gone between the planks though, because she was looking through them into the creek trying to find it. But that wouldn’t help in this case, because there’s no way she could get it back between the planks. Thank you Penny for entertaining me today! And thank you Beth for the walk! because it is one of my favorites. Every year I post this, I say the same thing – that this is the flower that taught me how to use a camera. I used to have a Canon A85, which was a nice point-and-shoot, but it absolutely could not capture a decent image of this flower when left to its own automatic devices. Also, I didn’t really know what I was doing. I learned a few things right away: don’t use flash for macro shots. Also, use the macro setting when taking a macro shot. Also, “macro” means “close to the subject.” I also learned not to use the zoom in a macro shot. These days, I put the camera about an inch from any macro subject – or how ever close I can get and fill the frame. With the f-stop maxed and the ISO minimized, that means the exposure time has to be long, and long exposures blur unless the camera is held perfectly still. So I use a tiny tripod. But when I press the button, the camera shakes, and that can blur the image too. So I make it wait two seconds after I release the button before it takes the picture. Lastly (for now), if the camera won’t autofocus on the subject because it’s too small, I place my finger in the frame as near the subject as I can, and then let the AF do its thing by pressing the “take the picture” button halfway down. Then I move my finger out of the way. If I bumped the subject, I wait for it to stop moving. Then I press the button the rest of the way down. But it was this plant that taught me all of that. That sounded pretty OK to me, so off we went. It’s just under a mile from our house to this church which is owned by the town of Northfield. 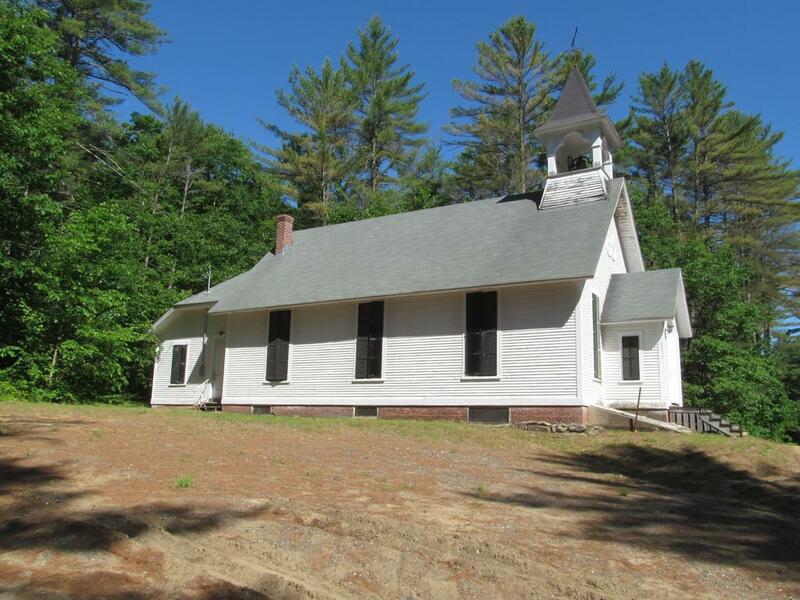 It was built back in the late 1800’s for the use of any denomination that wanted to use it, and they could use it free of charge. I don’t know if that’s the way it is still, but if it is, no denomination apparently wants to use it. 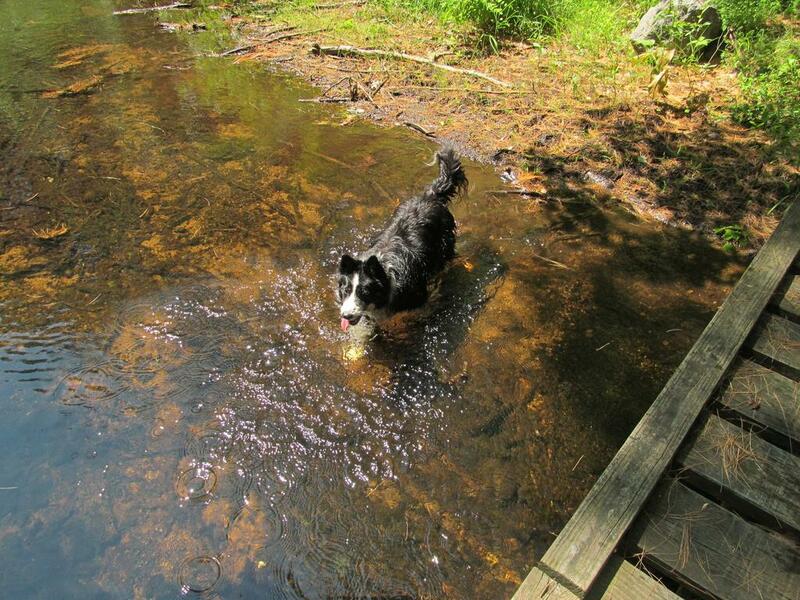 Penny was pretty thirsty when we started back again, so we detoured to Sandogardy Pond. She went in to cool off and get a drink, and then the three of us walked home again. By then it was nearly 10:00, so I drove to Tilton to visit the hardware store. I needed to get some new handles for my wheelbarrow, as mine broke neatly in half last week when I tried to move some rocks with it. Bill didn’t have any on hand, but he ordered some for me, and I will get them next week. No hurry there. When I got home from the hardware store, I dug up the spar varnish I bought for the canoe project(s). Miss Nancy was ready for her first coat, so I laid some down on her gunwales. Then it was time for Beth and me to head over to Laconia, as the Pathfinders had been hired to sweep our sister church’s parking lot (we share our pastor with Laconia). That didn’t take very long at all, and we were back home again by 3:30. She is in much better shape now than when I got hold of her. I will still need to sand the inside hull before I varnish that, but I don’t plan to spend a lot of time there. Just something to knock down the high spots in the fiberglass, wipe her down, and slather on a quick coat. I also picked up a piece of maple today and cut out a new thwart. I shaped it with a 4-in-hand, but only on one side – then I petered out. Maybe I’ll finish that off tomorrow. 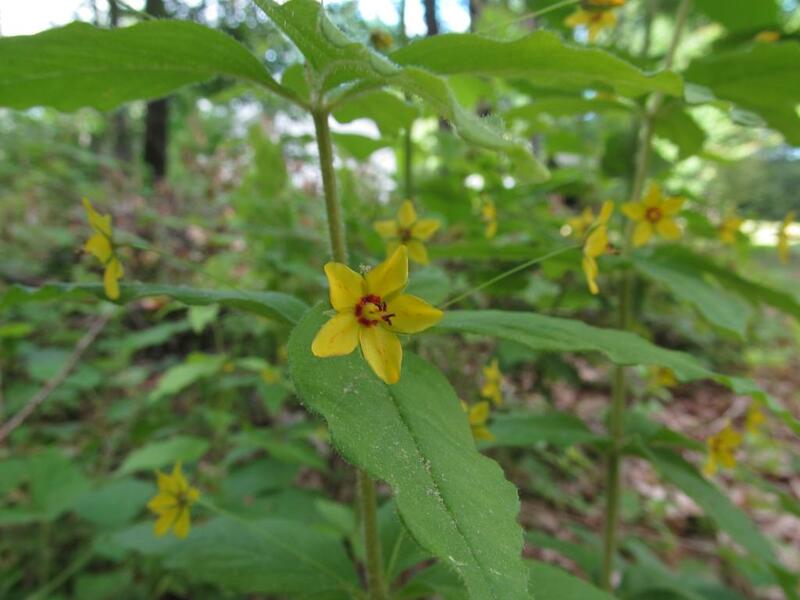 The whorled loosestrife has bloomed. Penny woke me up from a nap this afternoon, so I went outside (it was beautiful). I was tooling around the backyard when I noticed the loosestrife in bloom. As I was taking the picture, Beth was sneaking up on me. She’s been trying to do this for some time, but I usually detect her when she’s quite a way off. Not today. She was right there when she announced her presence. I think she was pleased with herself (I know I would have been). Then she asked if I wanted to go to Sandogardy Pond, and of course I did, so we stopped in the house for Penny’s leash and then set out. The bugs weren’t bad, and the temperature was right around 70, or maybe even below (it’s 66 now). She talked pretty much the whole trip, which I enjoyed. We picked up trash, and she couldn’t figure out why people would just throw it on the ground like they do. I have to admit that it boggles my mind as well. These flowers are tiny. 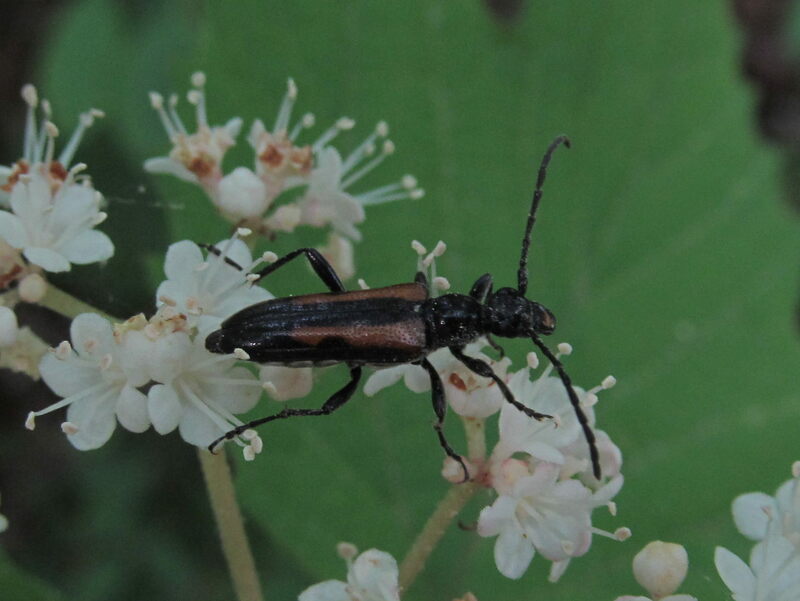 I don’t think they’re even an eight of an inch across, and that made them pretty difficult to photograph. Autofocus couldn’t find them, so I had to whip out the tripod, put my finger next to the bloom, let it focus on that, move my finger, and then press the button (with a two-second delay since the exposure time was longish). This one came out semi-respectably. I found another clump of it further down the beach, and since it had a denser cluster of blooms, I took a shot of it as well. 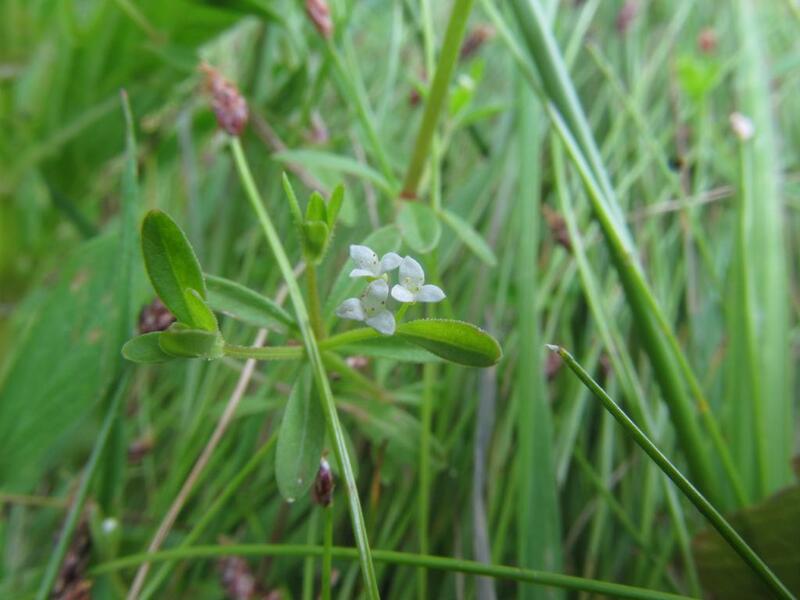 Then I looked it up in Newcombs (3 for 3 petals, 4 for whorled leaves, and 2 for smooth leaf margins, or 342). 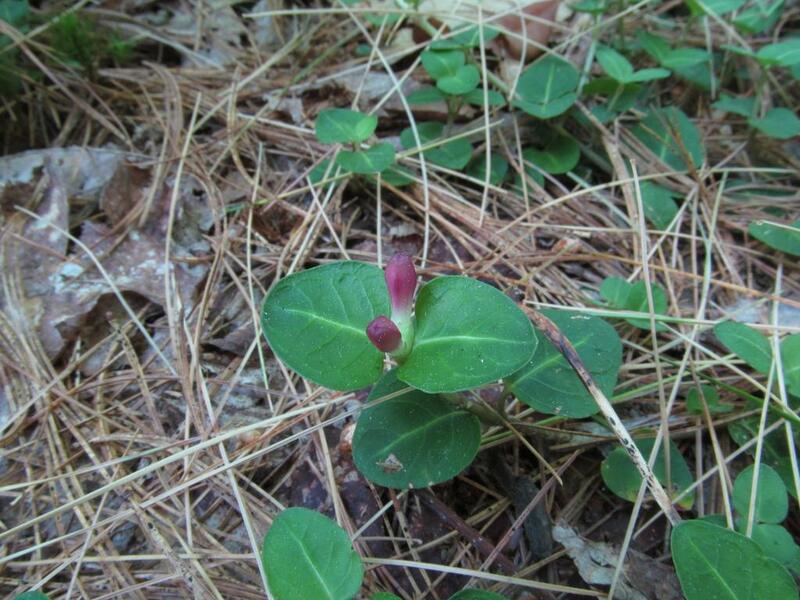 That’s the same index number as trilliums, but the index number is really just to get you close. 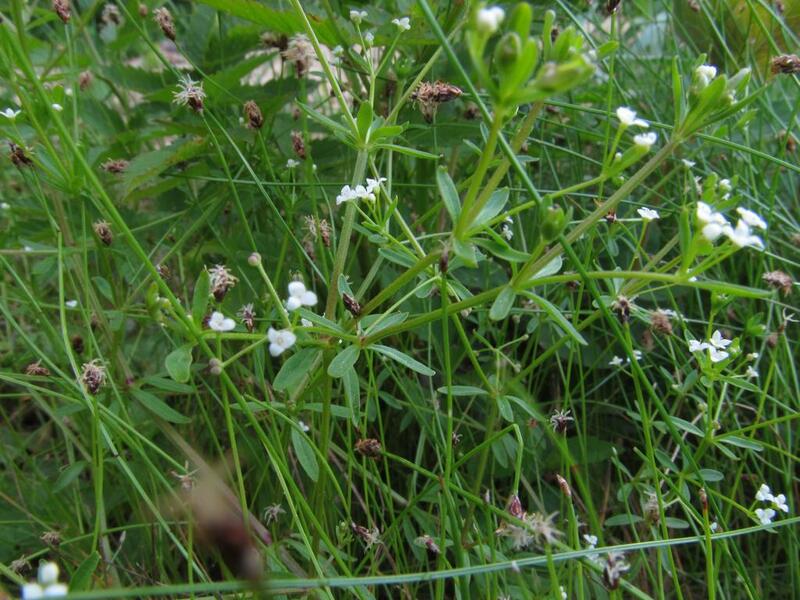 Bedstraw was on the next page. 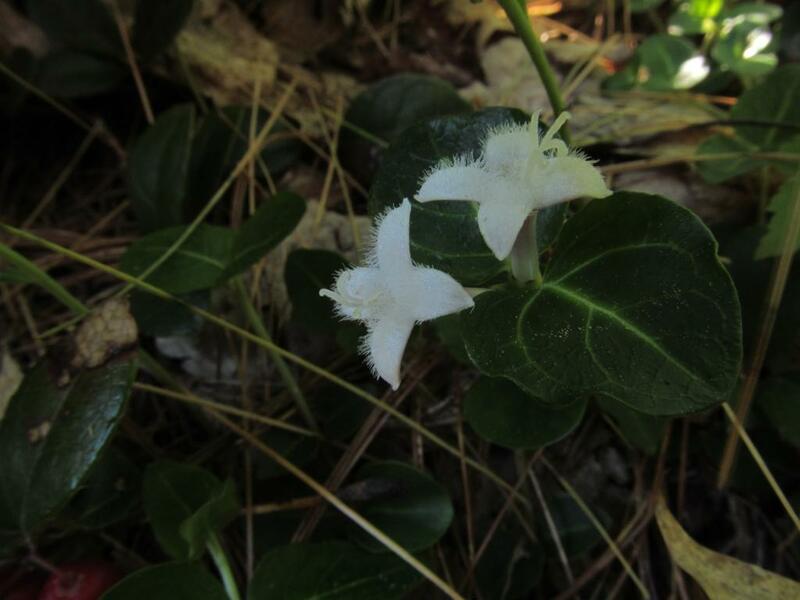 This is an unusual plant in that it’s a 3-petaled dicot. Most plants with three or (six petals) are monocots (i.e., narrow leaves, with parallel veins in them, like corn and lilies). The dicots have broader leaves (in general) and have branched veins. I can’t think of another 3-petaled dicot. I may have to open the books again! 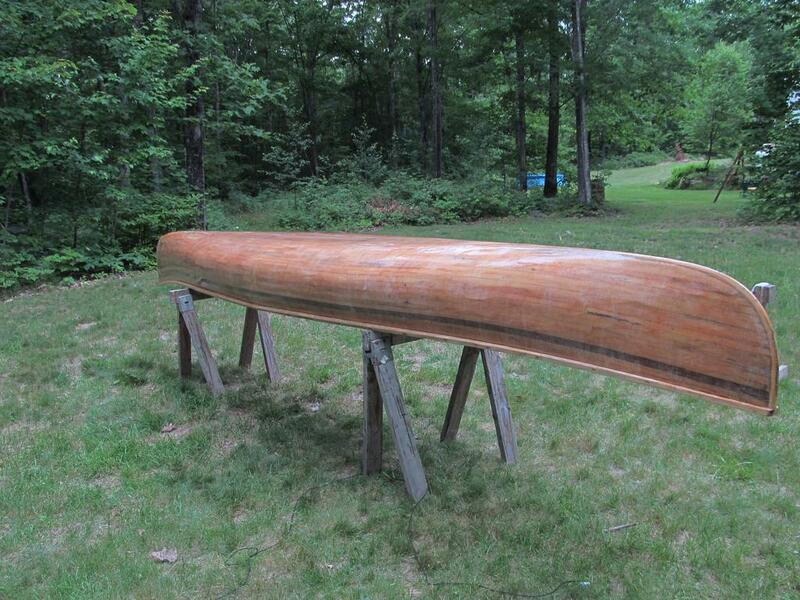 In other news, I have finally gotten around to working on restoring those canoes again. Miss Nancy is ready to varnish. 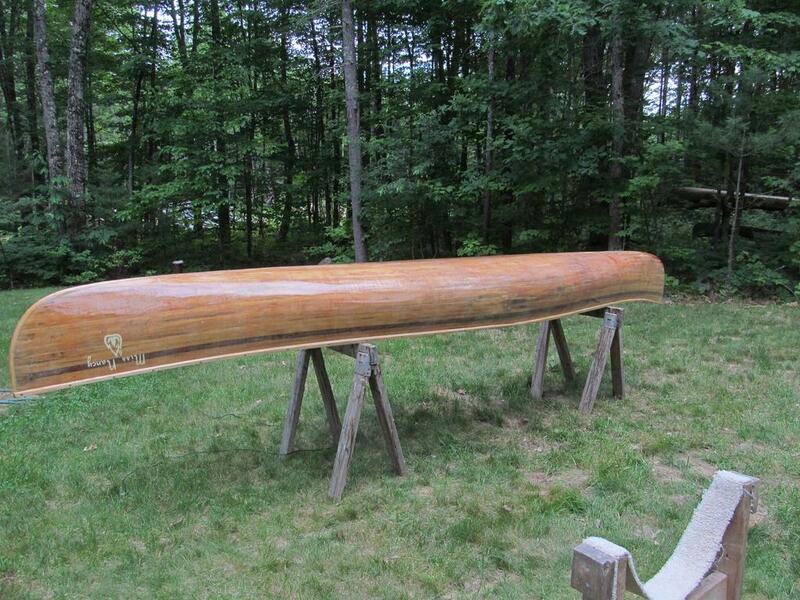 Once that’s done, I can make her a new thwart, attach it, and mount the two seats, and she will be ready to paddle. Miss Emma will need gunwales attached (I milled them last fall), re-varnished, and then she can get trimmed out with the thwart-seat combo I made last year, plus her two original seats. Miss Sally only needs a section of gunwale repaired, and then have her thwart reattached. That’ s pretty much all that’s left. We might get to paddle them by September. A pleasant surprise awaited me today when I got home. I took Penny out for a lap around my woods when this caught my eye. I was not expecting the partridge berries to be in bloom yet, because a lot of them are still carrying last year’s berries. But here they were. I haven’t looked up the data yet – maybe they’re right on time and I just wasn’t ready. These berries are edible, and I like them quite a bit. I think I could eat a quart of them in one sitting, as they are not overpoweringly sweet like a lot of berries. 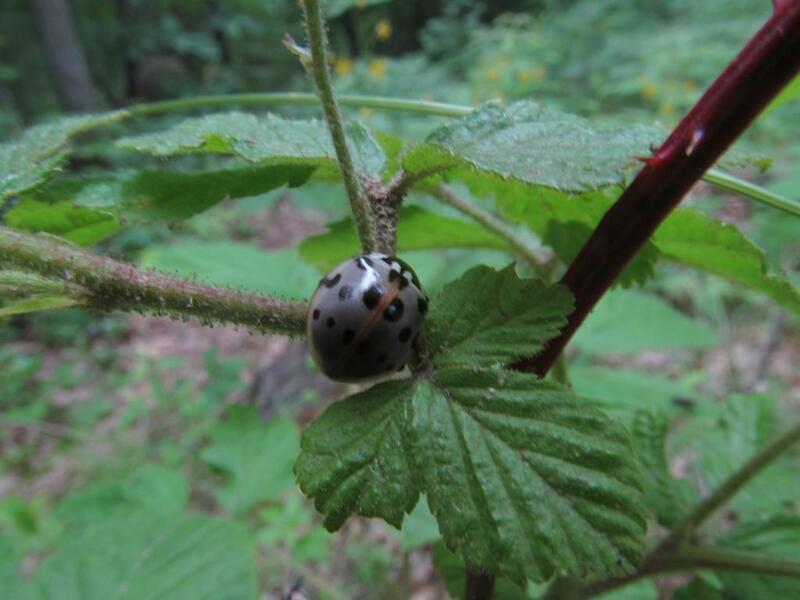 The two eyes on the berry are from the two flowers you can see in the previous shots. The two flowers fuse at the base and form a single berry, and these eyes are the vestiges the flowers leave behind. That makes them pretty easy to identify too. I have not tried to identify this creature yet, and I think I might not bother. It’s enough just to have his (or her) photo.